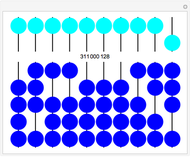 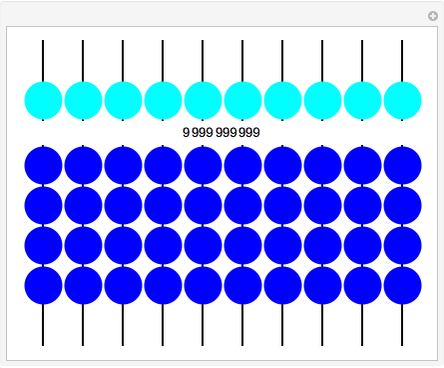 An abacus computes numbers by sliding beads on rods. 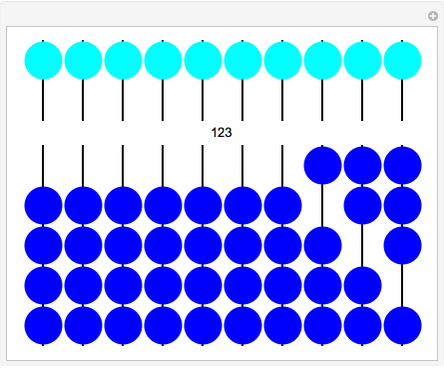 In this Demonstration, click a bead to move it. The upper disks add 5. 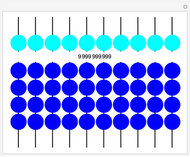 Thus each row can store the digits between 0 and 9.